Sleep studies are a very important tool of investigation for people with sleep disorders. 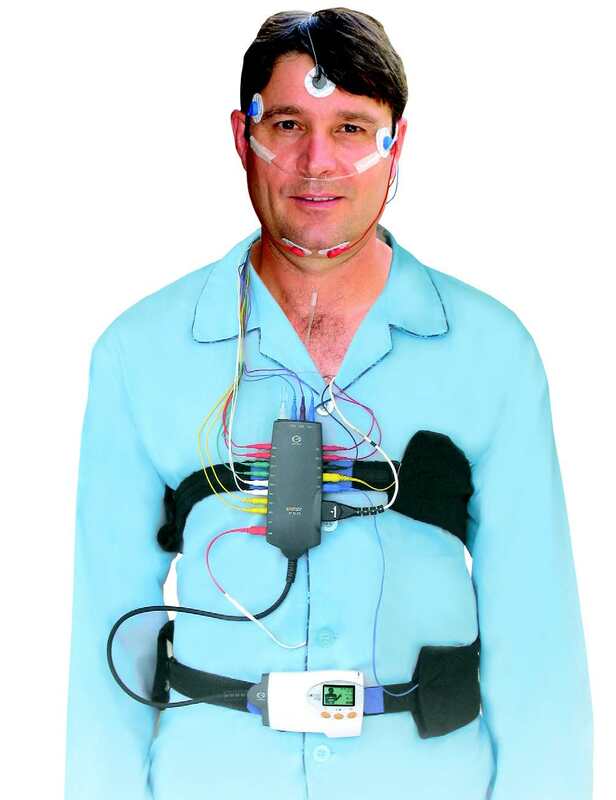 A sleep study involves the connection of a number of wires and leads which measure brain activity, breathing, oxygen levels, heart rate and leg movements. Depending on the specific needs of each patients, sleep studies can either be performed in a hospital-based sleep laboratory or in the patient’s home. Home-based studies require the patient to have the leads connected at one of the Lung and Sleep Victoria locations late in the afternoon. The device records information until the patients wakes the following morning and removes the leads. Hospital-based studies are performed in both public and private hospitals. Patients are usually required to attend in the evening and are able to go home early the next morning. *Test includes referral to a qualified sleep physician to confirm the necessity for the study, where applicable, as per Medicare requirements.